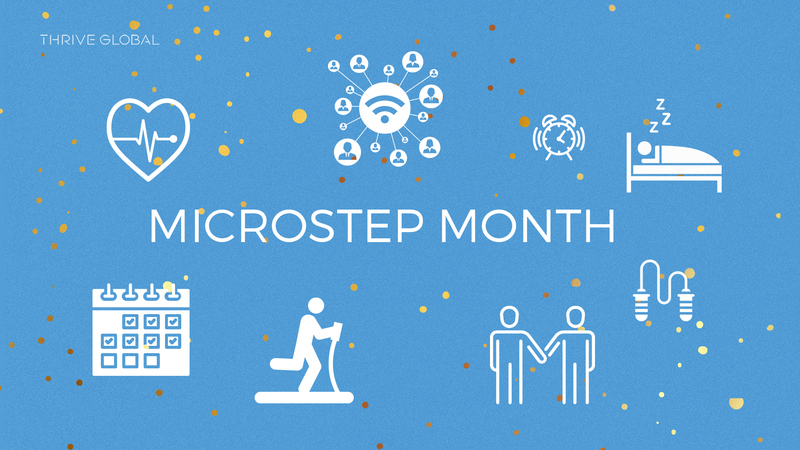 Microstep: Exercise! Any kind of physical activity helps you sleep better. Every year when I see my doctor for my annual exam, he asks me if I’m getting exercise. And every year I say something like, “I live in Manhattan. I walk everywhere.” He’s not impressed. He says, “That’s great. What else?” Last year he gave me some tips for simple workouts you can do anywhere — no gym membership, no big time commitment. This year I’m going to surprise him with the news that I’ve taken his advice. I don’t have time to go to the gym, and the best opportunity for exercise I have is right when I wake up, so I’ve committed to 50 pushups and 50 jumping jacks as soon as I wake up. My hope was to make this ritual into something so automatic I don’t even think about it. I’m cheating slightly, because I’ve already started doing this on my own. I’ve been satisfied with my discipline — I’m doing it almost every day. But my hope is that by treating it as a daily Microstep I’ll keep up the momentum, turn it into a true daily habit, and increase the rigor as time goes on. I probably average five out of seven days a week. Sometimes I’m not feeling it. I play basketball one night a week, and run pretty hard during those games. So some Tuesday mornings I’m sore and let myself off the hook. I do feel physically stronger, and my endurance is probably better, but the satisfaction is more mental. I like the discipline. I said I was going to do something, and I did it. And I feel like I can build on my current ritual to make it more rigorous. Best of all, on many mornings I felt motivated to go beyond what I required of myself, sometimes doubling the routine. There really is something important about the “micro” aspect of a Microstep. It’s that smallness that helps you get past all the excuses you make for yourself. Every morning, I came up with all sorts of excuses not to do my Microstep: I was running late, I had better things to do, today just wasn’t the day. But since my workout took three minutes tops, there was never any legitimate excuse not to do it. My Microstep commitment was definitely successful, and I plan to keep going.